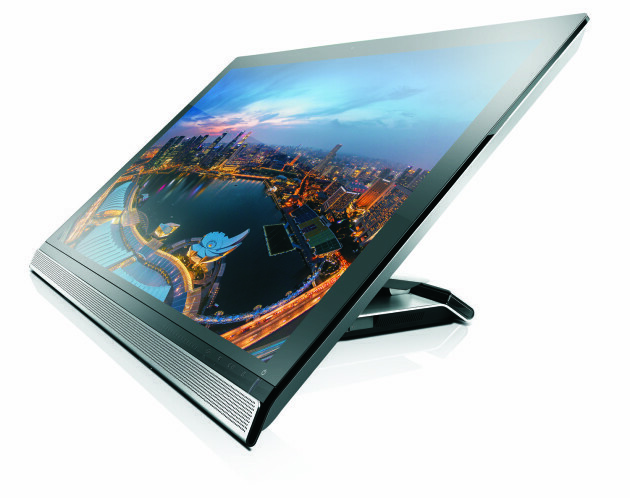 Lenovo’s ThinkVision 28 4K display is a heavy piece of business at just under 12 Kg. At a high resolution of 3840×2160, it is powered by Nvidia Tegra offering fast response times for video content. Currently the video response times are 5ms. The ThinkVision’s display runs Android 4.4 with a 32 GB eMMC storage and 2GB DDR3L memory supporting the 10-point multi-touch interface. Built for viewing content on demand, the ThinkVision 28 has several ports over which this can be delivered including the RJ45 Ethernet port, 3 HDMI ports and USB ports (3x USB 3.0, 1x USB 2.0 and 1x MicroUSB 3.0). Support is also included for NFC. Two 5W speakers supply the audio and there is also a 2 MP camera for image capture. The display ships in July and will be available at $1199.